We may collect any information you enter, share or that can be obtained from your use of our apps, games, contests, or promotions. Use social media to interact with us, or to share something from our Sites with others, we will receive information about what you share and other details that may be based on your social media privacy settings. 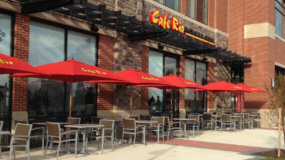 Send you updates on the latest Cafe Rio news, including information about new products, services, and offers that may be of interest to you including co-branded offers and affiliate and partner offers. Respond to your customer service inquiries, post your comments or statements on any blog or other online forum maintained on our website and other websites, or take other actions in response to your inquiries or other website activities. Learn more about our customers so that we can develop better products and services. Tailor your experience at our Site, showing you content that we think you might be interested in, and displaying the content according to your preferences. We may share your personal information with third parties, including as set forth below. We also may provide aggregate statistics about customers, sales, traffic patterns, and related site information to others, but these statistics will include no personally identifying information. Authorization of credit card and check transactions, order fulfillment, sweepstakes and contests, our rewards program, and cobranded or joint product and service promotions. 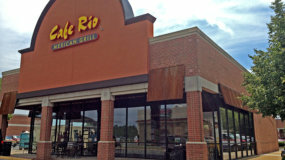 Developing, hosting or maintaining the Sites on behalf of Cafe Rio. 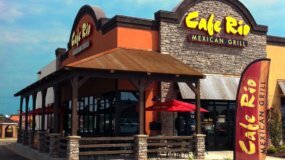 Warehousing product, personalizing product and performing order fulfillment and shipping services on behalf of Cafe Rio or on your behalf and at your request. Aggregating customer information and/or improving customer service. We may then share such aggregated information with prospective marketing partners and advertisers. Marketing our products and services (such as email vendors). In Connection with Business Transfers In the event that a store, division or part or all of Café Rio is bought, sold or otherwise transferred, or is in the process of a potential transaction, customer information will likely be shared for evaluation purposes and included among the transferred business assets. 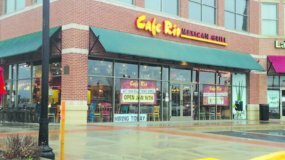 To Comply with Laws Cafe Rio may also disclose specific information when such disclosure appears necessary to comply with the law, a subpoena or other litigation process or to protect the interests or safety of its visitors and customers, Cafe Rio employees or others. This includes exchanging information with other companies and organizations for fraud protection and credit risk reduction. 4.Data Security. 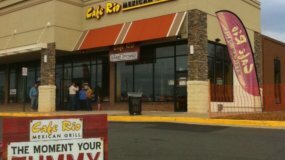 Cafe Rio uses industry-standard security techniques on the Sites to help protect against the loss, misuse or alteration of information collected from you at the Sites. However, while we strive to protect your personal information, we cannot ensure the security of the information you transmit to us. In this regard, we urge you to take every precaution to protect your personal data while you are on the Internet. At a minimum, we encourage you to make sure that you are using a secure browser as you surf the Internet. 5.Cookies Policy. The Sites use “cookies,” which are small files containing information that uniquely identifies your browser and are stored by your browser or other application on your computer’s browser or hard drive. The cookies are used to connect your computer with information stored about your online activity, searches, preferences and product purchases both within the same website visit and from one visit to the next on Cafe Rio and/or other websites. (Some examples of this data include your account preferences, user specific information on pages accessed, searched terms or addresses entered, and previous visits to the site.) Most browsers are initially set up to accept cookies, but you can reset your browser to refuse all cookies or to indicate when a cookie is being sent if you wish. The “help” portion of the toolbar on most browsers will tell you how to prevent your browser from accepting new cookies, how to have the browser notify you when you receive new cookies or how to disable cookies altogether. Some Site features and services will not function properly if your cookies are disabled. 6.Your Protection of Your Information. If you create an account on our Site, you must maintain the confidentiality of your account and password and restrict access to your computer. You agree to be responsible for all activities that occur under your account or password and agree to be responsible for all charges. We have the right to refuse service, terminate your account, or take other actions in our discretion. You agree to inform us of any unauthorized use and to take steps to prevent its further unauthorized use. 7.Third Party Links. 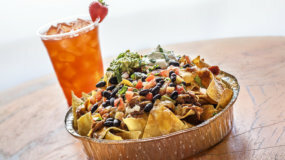 Our Site may provide links to third-party sites that are not operated by Cafe Rio. We are not responsible for the privacy policies or content of those sites and recommend that you check the relevant privacy policies of those sites to determine how your personal information will be used. 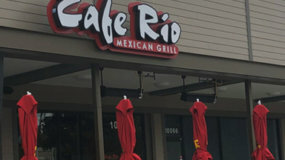 Minors under 18 years of age may have the Personal Information that they provide to Cafe Rio through the Site deleted by sending an email to customercare@caferio.com requesting deletion. Please note that, while we make reasonable efforts to comply with such requests, deletion of your personal information does not ensure complete and comprehensive removal of that data from all systems. 9.Updates or Changes to Your Account Information. You may access and update information provided to Cafe Rio when you created your account at any time by logging into your account and updating the desired information or by contacting us using the contact information provided below. 10.Do Not Track Requests. Do Not Track (DNT) is a privacy preference that users can set in some web browsers, allowing users to opt out of tracking by websites and online services. At the present time, the World Wide Web Consortium (W3C) has not yet established universal standards for recognizable DNT signals and therefore, Cafe Rio and the Sites do not recognize DNT. 11.Opt Out. If you do not want us to contact you, you may opt-out of receiving future emails by logging into your account or by contacting us at the contact information provided below. If you opt-out of receiving promotional communications from us, whether online or on your mobile device, we may still send you non-promotional communications such as emails about your Cafe Rio account, if you have one, or our ongoing business relations.